The concept of ECHO was born out of the need for busy people to find time to stay connected with their friends and family. By illustrating the free time of people in their circle of friends, ECHO allows users to capitalize on unscheduled moments in their day to plan a quick catch-up – helping friends and family maintain strong ties as they navigate through their day-to-day lives. The user can enter the time-span they are available – whether it’s for 15 minutes or all afternoon – and let the app pair them up with someone in their circle who has also indicated overlapping free time. Availability remains anonymous until each person has accepted the invitation to catch up. This creates a playful interaction that nudges users to reach out to people they would like to catch up with but may not be on their regular, go-to list. 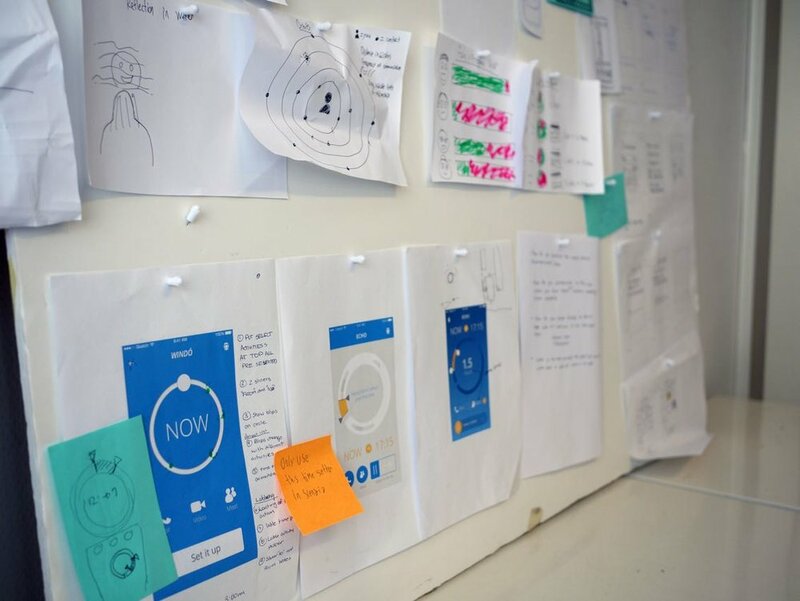 The focus of this project was to design and prototype an app that does only one thing, but does that thing really well. The team used iOS human interface guidelines to inform the design while also maintaining a sense of distinctiveness. This course allowed the team to refine their pixel-pushing skills in digital graphic design as well as to further explore video prototyping as a storytelling tool in an iterative GUI design process.